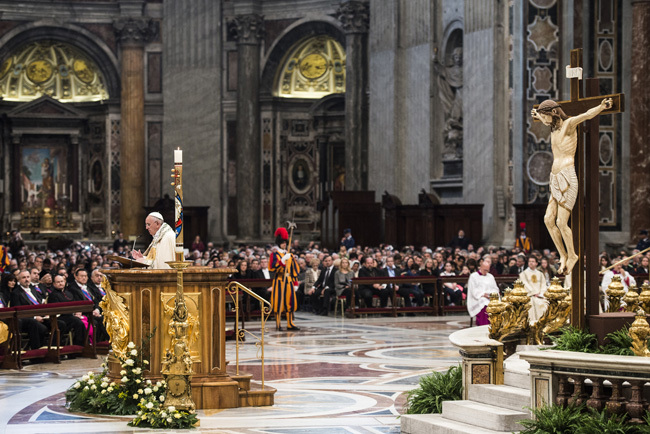 VATICAN CITY (CNS) — Mercy is what makes God perfect and all-powerful, Pope Francis said in his document officially proclaiming the 2015-2016 extraordinary Holy Year of Mercy. The boundless nature of God’s mercy — his willingness always to forgive anything — has been a constant subject of Pope Francis’ preaching and is explained in detail in the document, which outlines some of the specific projects the pope has in mind for the year. 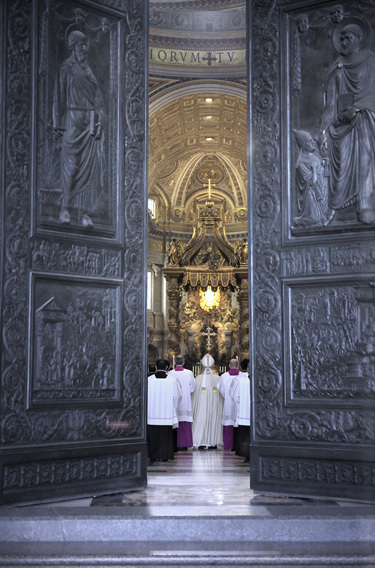 The date the pope chose to open the year — Dec. 8 — is the feast of the Immaculate Conception and the 50th anniversary of the closing of the Second Vatican Council. Both dates, he wrote, are related to the Year of Mercy.